StarGazer has a really weird history and presence. The band began in the mid 90’s but saw their first release decades later. The members of this collective also share duties in other bands including Mournful Congregation. 2010’s A Greet Work of Ages found its way on many end of the year lists with a large push from then current record label Profound Lore. Nuclear War Now is supporting the band’s third record which continues the development of the space between stars and and madness. 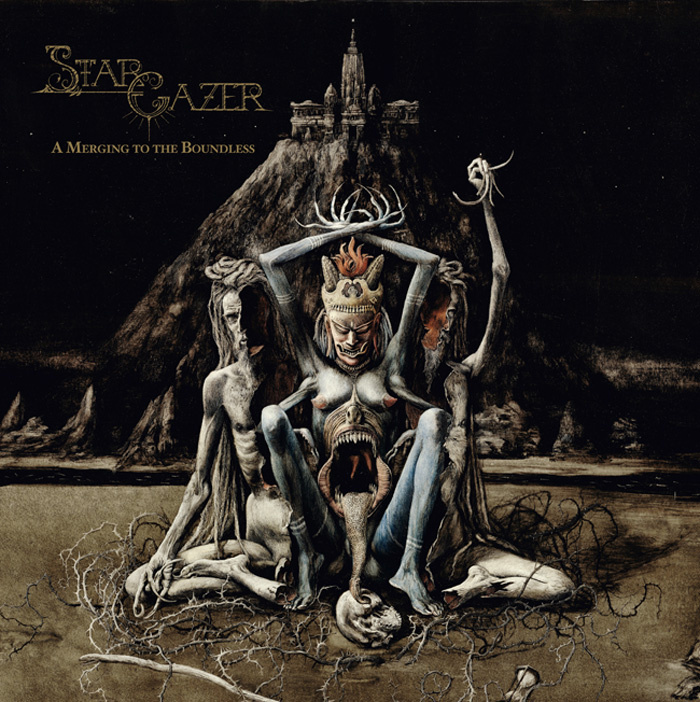 In some strange world, StarGazer is the nexus between all forms of metal and everyone has no further need of air, food, and water. If comparisons can be made, A Merging to the Boundless manages to take StarGazer’s tempered formula and make it even less conventional. The divide between experimental and ineffective is narrow but Stargazer manages to make things like pronounced bass and asymmetrical structures as terrifying as blistering black/death. Songs like “An Earth Rides Its Endless Carousel” put themselves out there with its finger tapping introduction only to fall in place with snarling vocals. The record culminates at its midway peak with “The Grand Equalizer,” a progressive pilgrimage into the realms of uneasy chaos. the record ends with two shorter assaults which showcase the band’s versatility in making a varied record. Progressive elements in a black metal records have the possibility of sending the music into the lands of the self important. A Merging to the Boundless never feels unnecessary or showy rather each aspect of the record seems to work towards a greater cause of cosmic unraveling. This band has always been weirdos and their new record does more to showcase a tasteful approach to unconventional black metal. This maybe the record everyone should get this holiday season.